For the uninitiated, those phrases and words mean little to nothing. To the Whovian Fandom, fans of the British television series Doctor Who, they mean a whole lot. 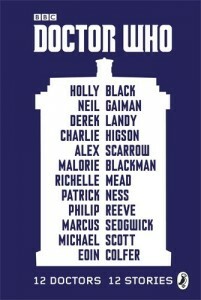 Doctor Who (never Dr. Who!) 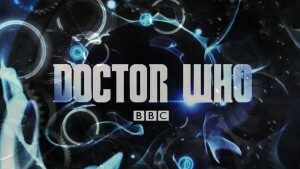 has been a phenomenon for over fifty years, and with each new Doctor a whole new generation of fans is born. To date there have been 13 different Doctors (if you include the War Doctor, who only appeared in the 50th anniversary special in 2013 and was played by Sir John Hurt). They are all the same person, though- a Time Lord from the planet Gallifrey who regenerates every few seasons instead of dying. Though he keeps the memories of his past incarnations, every Doctor is a slightly different man, with a different way of dressing, connecting to his companions, and even reacting to the universe around him, and every Whovian has their favorite. Chances are, if you’re a Whovian, you did just that! 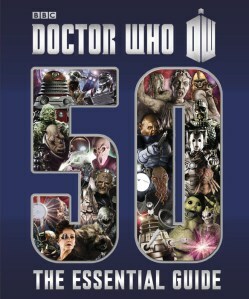 Commonly referred to by either the actor’s last name (for example Tennant’s Doctor, or just simply Tennant) or their number (which is always capitalized) fans have spent the last 50 years touting their favorites as the best and arguing over whether the Daleks or Cybermen or Weeping Angels are the most villainous. Though times and special effects have changed, at the heart of the story (or really at the hearts, since The Doctor has two) is an alien who leads his usually human companions on amazing adventures through time and space while he tries to save as many people and aliens from bad situations as he can- even if it means occasionally losing himself in the process. Deep, huh? But also a lot of fun! The Doctor travels through time and space in his T.A.R.D.I.S. (Time and Relative Dimension in Space), a space ship-time machine combo that always looks like a 1960’s British Police Phone Box because its chameleon circuit is stuck. Many of the show’s quirks stem from the fact that back in 1963, this “kids’ show” had a limited budget. Therefore, rather than create a new ship for every show the TARDIS has been stuck in its familiar blue box form for fifty years, a shape which has become an icon of the show. The Doctor’s ability to regenerate, too, was less a product of story telling and more a way to keep the show going when William Hartnell, Doctor number One, became too ill to carry on the role. In the same way that The Doctor is not confined to any one place or time, Doctor Who is not confined to television. 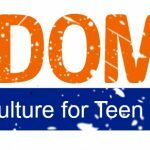 Here are some materials that any Whovian would be interested in reading, or would also be great introductions to The Doctor for any non-Whovians who like science fiction, graphic novels, adventure stories, or information about the behind the scenes world of the entertainment industry. 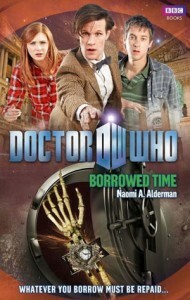 There are several newer Doctor Doctor Who novels available, as well as audio dramas that are often read by the actors in the show. These books read like episodes and may also appeal to non-fans of the show who are fans of action- adventure and science fiction. 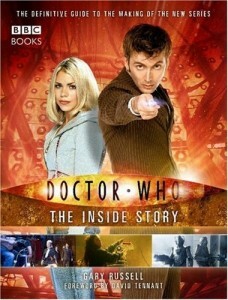 These are usually about a Doctor and his companions from Ten and on, though there is a short story compilation that was originally published online and recently revised to include 12 tales in it—one for each Doctor, and written by some notable authors (Neil Gaiman, Eoin Colfer, and Holly Black just to name a couple.) 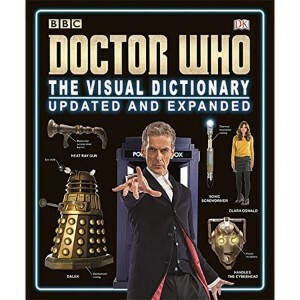 For fans of all Doctors this is a real treat, and though it’s a lengthy tome the stories are short and action packed. 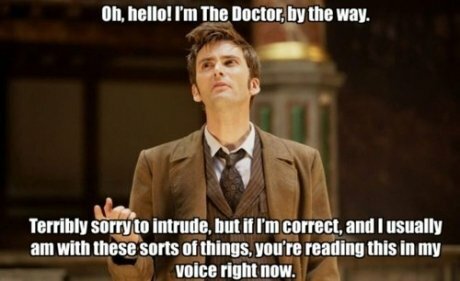 They are a great introduction to The Doctor in his many forms for new fans and non-fans alike. If your interest turns to a more graphic literary experience, IDW and more recently Titan Comics have comic series with some stunning artwork as well as adventurous story lines. Doctors from all time periods appear, though Doctors Ten, Eleven and Twelve have gotten more love recently. 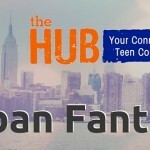 If you’d rather not collect weekly or monthly installments most of these stories have been bound into graphic novels. There was even a Star Trek: The Next Generation – Doctor Who crossover well worth mentioning, particularly if you’re trying to introduce a Trekker to Who, or a Whovian to Trek, or if, like me, you’re just a fan of both. Wikipedia’s Doctor Who page: I know, Wikipedia is not a librarian’s favorite tool, but Whovians are fiercely protective of The Doctor, and it’s unlikely that there will be any misinformation to be found on that page! BBC’s Doctor Who: The BBC Doctor Who site is a great place to go for information on the new series, Doctor Who history, and even games. IMDb Doctor Who page: The IMDb page that covers all episodes produced from 2005, when the series was rebooted with Christopher Eccleston as Doctor number Nine. Incidentally, my favorite Doctor is Ten, but I have a soft spot in my heart for Nine since he was technically my first. And of the “classic” Doctors I’m partial to Four and his most excellent scarf. — Carla land, currently reading Doctor Who: 12 Doctors, 12 Stories again because it was just that good. What Would They Read? 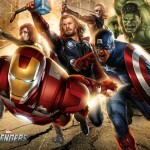 : Avengers Assemble!